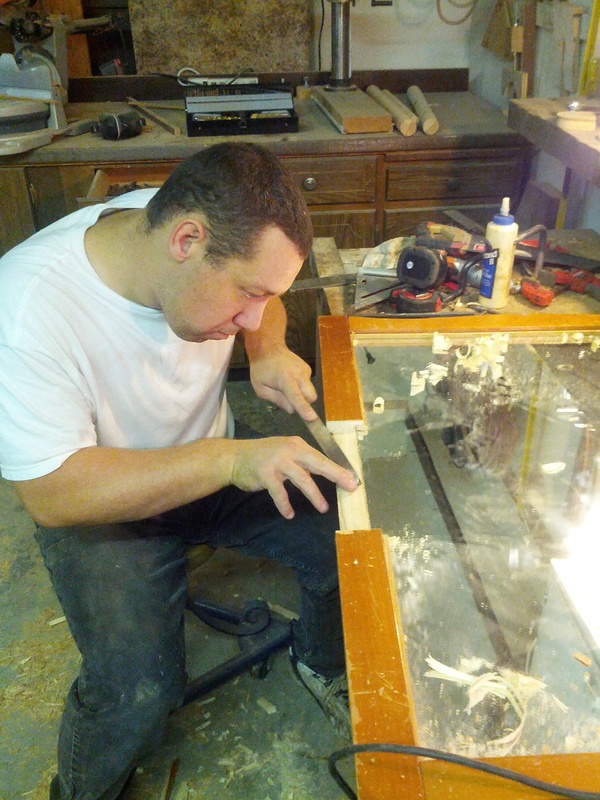 My sweet Hubby Man is very industrious. 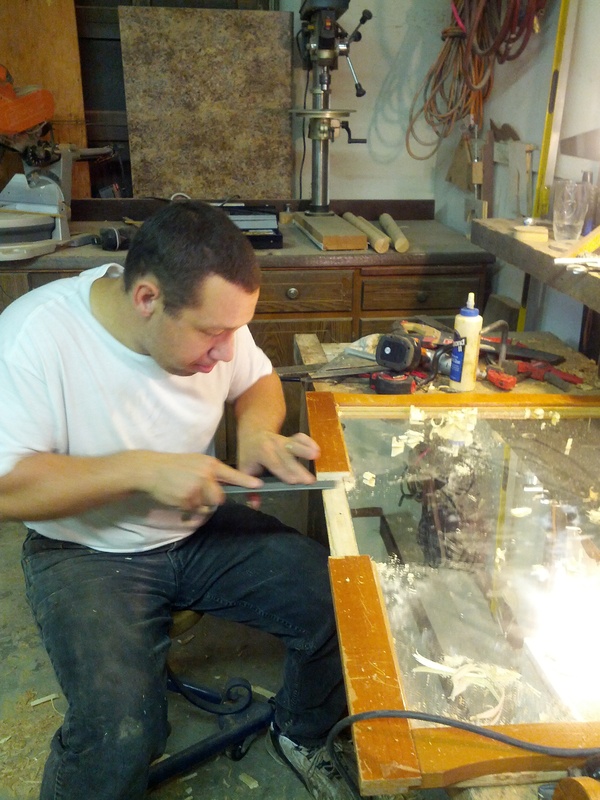 He works by day and loves to work with wood (and sometimes metal) in the evenings and on his days off. He has completed many projects but I wanted to introduce him with one of his latest. 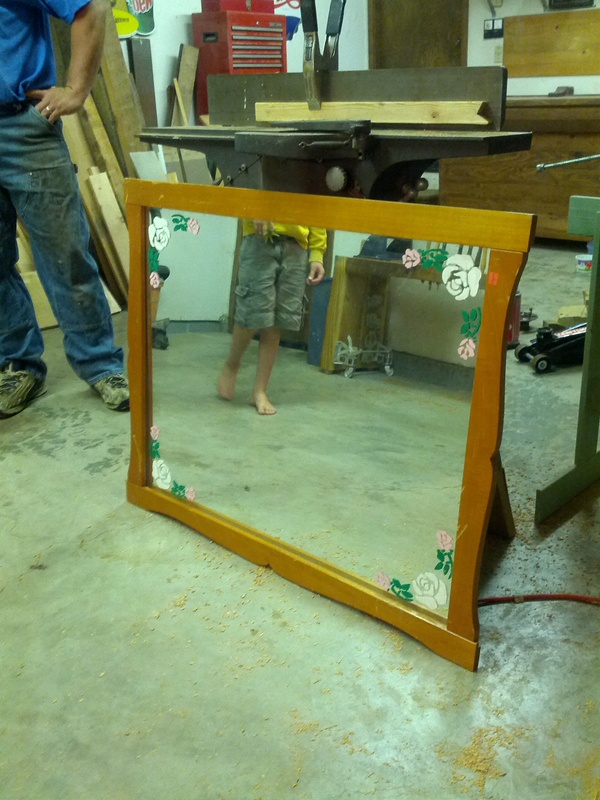 I looked at him quizzically and asked “you want a girly mirror?”. Well, needless to say he did not keep the flowers. 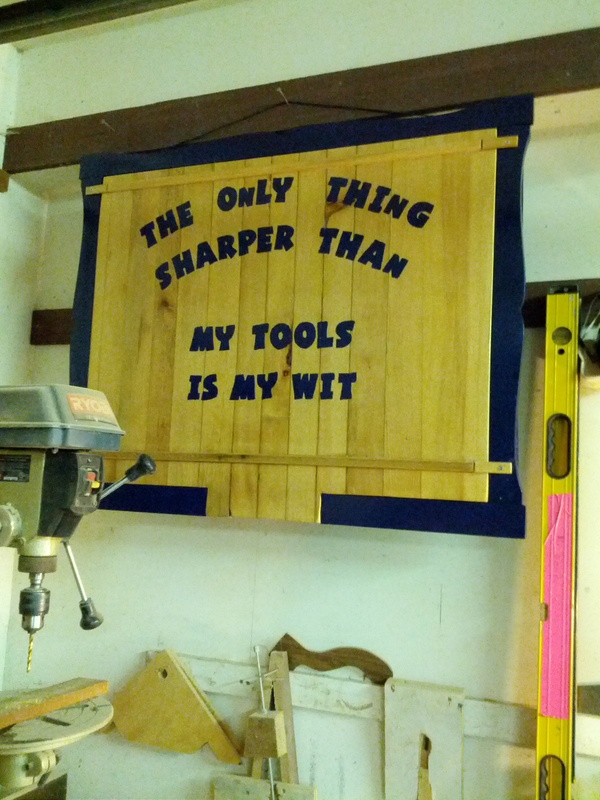 I am not much of a woodworker but My Screwy Carpenter is not a lover of writing so please be patient with me as I try to explain. I have already told him that he is going to have to interject some technical info and answer any questions you may have. 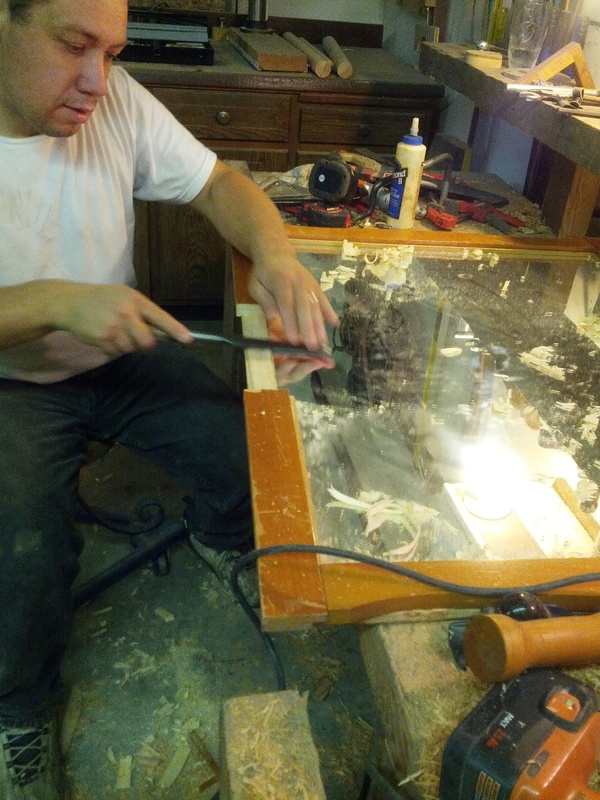 He uses the glass as a leveling surface. Glass does not change form or swell when it comes in contact with water. 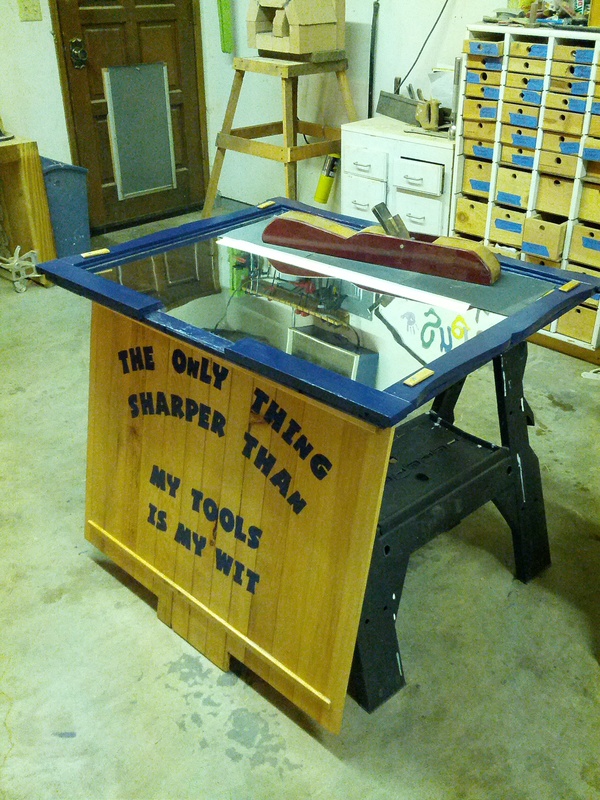 Therefore, it is a perfect surface when you are honing/sharpening chisels or plane blades. His goal was to have a mirror he could easy store on the wall. The previous mirrors where always stored at ground level and often at risk of breakage. That is how the last mirror met its demise. First step: Create a sturdy backing. No flex. 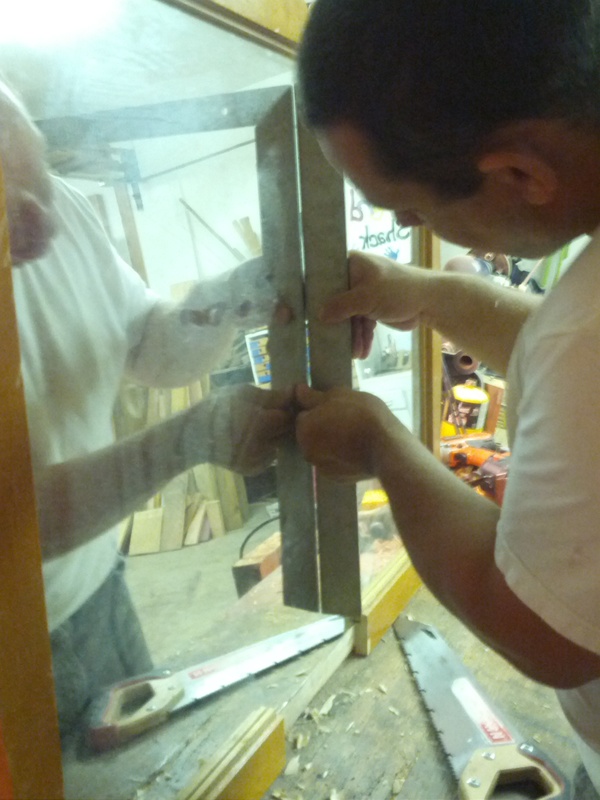 The first mirror was ¼ of an inch thick and was not in need of backing as long as it was on a flat surface. This mirror is 1/8 of an inch thick so it was needing support. Why? If the mirror does not have a sturdy back it will break and/or the mirror will flex giving your metal a bow when you sharpen it. Second Step: Create drainage spot / gap in frame. Step Three: Create Cover to nest into frame. Step Four: Add your own kind of bling. Why? Because flowers are not allowed in the shop. Wondering how to sharpen/honing blades? There are LOTS of videos and blogs available. If you want more details, would love The Screwy Carpenter to answer your question or just want to say hello… please leave a comment. 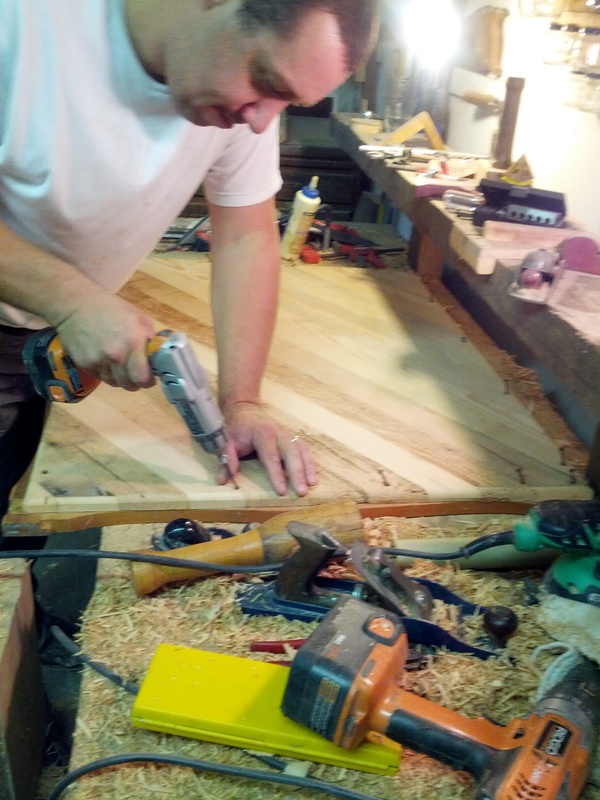 I think my favorite comment during the making of this blog spot was from The Screwy Carpenter when I was taking picts. “So, is this what it is like to be on a reality show?” 🙂 love it.